….for every Minnesotan who kvetches “WHY DO WE LIVE HERE???!! !” whenever there’s so much as a snow flurry in late March/early April? Well, my earnings would rival the retirement package of outgoing General Motors CEO Rick Wagoner. I’m not a superstitious person but I do get caught up in some daily routines. For example, I’m typically walking out the door at precisely 6:55 each weekday morning. On my way to the door leading to the garage I pass by our living room couch where our male cat Macbeth likes to lounge. As I walk by I usually give him a quick pet before I leave. When I left Thursday morning at the usual time I did not see Mac in his customary spot atop the couch. I took a quick jaunt around the living room but he wasn’t around. I even went to our foyer and looked to see if he might be on the staircase. Not there either. Oh well, I didn’t think much about it as I left. After dinner Thursday evening my wife and I left for a friend’s house in Blaine. As we were on the road, the gal mentioned she hadn’t seen Mac when she put out his evening meal. In fact, she thought it was strange that he also hadn’t come downstairs for his breakfast that morning. It was then it dawned on me. I recalled that the gal’s walk-in closet door had been shut as I left the master bathroom in the morning. I remember thinking it was strange since she normally doesn’t close her closet door (there’s that routine thing again). Since it was about 7:00 pm, I figured if Mac were trapped in Jen’s closet he would have been in there a solid 12 hours! I then called my mother-in law (who lives with us) and left her a voice mail asking her to go open the door to Jen’s closet, thinking that Mac would be in there. When we got home around 9:30 Thursday night, we saw Mac lounging atop the couch with this wide-eyed look. He usually gets that way when he’s on alert. Sure enough, we were informed by my mother-in law that Mac was indeed in Jen’s closet and was like an orange blur when he was finally let out. The gal then went upstairs to survey the damage in her closet. Given he had been cut off from his litter box all day, Mac did his “business” on Jen’s closet floor. And when cats do their “business” they will typically bury it under the sand in their litter box. Since no sand was available, Mac used what was most convenient: my wife’s clothes. Yes, we ended up having a late evening of scrubbing the carpet and washing clothes. All's fair in hosing the rich. Call me a cynic, but I am not convinced that President Barack Obama is all that interested in reviving this struggling economy. 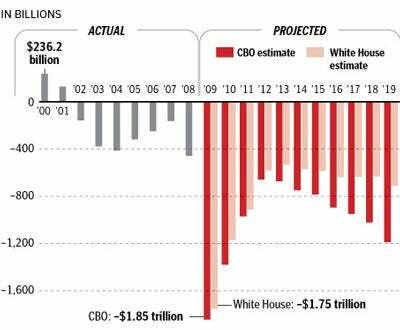 Despite the Congressional Budget Office estimating the budget deficits over the next ten years being much higher than White House projections (see graphic above), the President gave every indication Tuesday evening that he will press on with his outrageous economic proposals. What lends even more evidence to my cynicism of President Obama’s sincerity is the fact he brushes aside any fiscal concerns in the name of “fairness”. One point of contention is the President’s plan to limit the richest American’s deduction rate for charitable contributions. Currently, the wealthiest one percent of Americans are able to deduct on their tax returns 39% of what they give to charity. Under Obama’s plan, he would slash that tax benefit to only 28%. The President rationalized it, of course, under the guise of what’s fair (emphasis mine). Besides, when one is giving to charity, one’s motivation should be pure, right Mr. President? Now, if it's really a charitable contribution, I'm assuming that (the tax deduction) shouldn't be the determining factor as to whether you're giving that $100 to the homeless shelter down the street. To me, that smacks of condescension. Mr. President, do you really think charitable organizations scrutinize the funds they graciously receive by gauging the giver’s motive? As long as the donations come from a legal source of income, who really cares? When reminded of concerns conveyed by non-profit organizations that their revenues will decrease due to his rate change proposal, the President dismissed that contention saying there’s little evidence that there would be a significant impact. But key analysts respectfully disagree. The Center on Budget and Policy Priorities said total charitable contributions would decline by about 1.3 percent, while the Center on Philanthropy at Indiana University calculated that overall giving would drop by 2.1 percent (PDF). The highest-income households would decrease giving by 4.8 percent, or $3.87 billion, the philanthropy center found. "Charities and the public need to understand that in the current economic environment, which is creating difficulty for some nonprofits and their constituents already, this public policy change is likely to have an additional negative effect," Patrick M. Rooney, the philanthropy center's interim executive director, said in a statement. "However, changes in personal income and wealth, both of which have declined in the past year, have a greater impact on charitable giving than do tax rate changes." Experts said nonprofits such as universities and arts organizations that rely heavily on large donations from wealthy individuals are more likely to be impacted by the administration's proposal than food banks, shelters and other social service groups that raise money in smaller amounts. Again, that seems to be of little concern to the President. Remember during the campaign when presented with historical evidence that increasing the tax rate on capital gains would actually decrease overall tax revenues? …what I've said is that I would look at raising the capital gains tax for purposes of fairness. Hey, as long as we “spread the wealth” around, who cares if we’re saddled with eye-popping deficits? Under the Obama economic plan, “fairness” translates to all Americans being equally miserable. With that, pitcher Curt Schilling announced his retirement from baseball yesterday after 20 seasons in the major leagues. The things I was allowed to experience, the people I was able to call friends, teammates, mentors, coaches and opponents, the travel, all of it, are far more than anything I ever thought possible in my lifetime. Four World Series, three World Championships. That there are men with plaques in Cooperstown who never experienced one — and I was able to be on three teams over seven years that won it all — is another “beyond my wildest dreams” set of memories I’ll take with me. While no one can deny the magnitude of his on-field accomplishments, one of Schilling’s more memorable moments came off the field. I’ll never forget his appearance on ABC’s Good Morning America shortly after the 2004 postseason where Schilling and the Boston Red Sox won the franchise’s first World Series in 86 years. While being introduced by host Charlie Gibson, Schilling chimed in with a reminder about the upcoming Presidential election: "And make sure you tell everybody to vote, and vote Bush next week." A flummoxed Gibson stammered through his next sentence, making for a classic live TV moment! When you look at Schilling’s career regular season stats (216 wins and 3.46 career ERA), they hardly rival those of some of the great Hall of Fame pitchers. However, was there any other pitcher you’d rather have on the mound in October? In nineteen postseason starts, Schilling was 11-2 with a 2.23 ERA. And he anchored pitching staffs of three different World Series participants. 1993 postseason: In two starts against the juggernaut Atlanta Braves in the National League Championship Series, Schilling, then with the Phillies, was great in two starts. However, thanks to reliever Mitch “Wild Thing” Williams blowing a couple of saves, Schilling did not register a decision but won the LCS MVP award with a sparkling 1.69 ERA. Then with his team trailing the Toronto Blue Jays 3 games to 1 in the World Series, Schilling pitched a five hit shutout in Game 5 to keep the Phils alive. Unfortunately for the Phillies, they ended up losing the series six games. 2001 postseason: After being traded to the Arizona Diamondbacks in mid-2000, Schilling won 22 games the following season in helping the D-Backs win the division. Between the Division series and LCS, he made three starts (all complete games) in leading Arizona to the World Series against a Yankees club who had won three straight Fall Classics and four of the previous five. Undaunted, Schilling pitched seven strong innings in a Game 1 win, setting the tone for a classic seven game battle. Schilling was eventually named co-MVP of the series (along with fellow starter Randy Johnson) as the Arizona Diamondbacks, in only their fourth season of existence, won the World Series. 2004 postseason: Two words: Bloody Sock. With his Boston Red Sox trailing the Yankees 3 games to 2 in the ALCS (they were down 3-0 at one point), Schilling, pitching on a dislocated ankle tendon held down by three sutures put in the day before, went seven gutsy innings in a 4-2 Red Sox win. During the game, the FOX network cameras occasionally panned down to Schilling’s bad ankle showing blood seeping on to his sock. The Sox would also win Game 7, advancing to the World Series where they swept the St Louis Cardinals. 2007 postseason: While Josh Beckett became the ace of the 2007 Red Sox staff, Schilling still came up big when it counted. Trailing the Cleveland Indians 3 games to 2 in the ALCS, the 40-year old Schilling was aided by an 11-run explosion at Fenway Park in a Game Six win. The Sox would move on and complete their second World Series sweep in four seasons, this time against the Colorado Rockies. In what would turn out to be his last career start, Schilling earned the victory in Game 2 of that series. 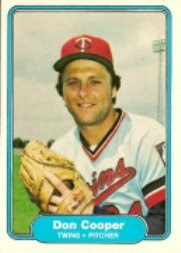 To me, Schilling’s career is somewhat similar to that of Jack Morris’. Neither pitcher exactly wowed us with gaudy statistics and combined have as many Cy Young awards as I do. But I ask again, could you name five other pitchers you’d rather have start a postseason game? I’ll settle for one. 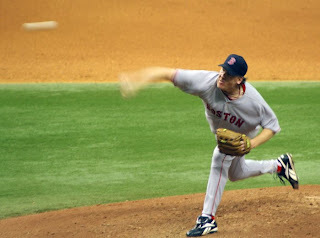 And that is why I believe Schilling should have his name enshrined in Cooperstown, NY come the Summer of 2013. There's really not much more I can add about President Barack Obama's appearance on The Tonight Show Thursday evening. Equating his miserable bowling ability to the Special Olympics has been covered more effectively than anything I can offer. But I will say his intention to appear on the program was just another example of Obama denigrating the office of the Presidency. The problem with going on a program like The Tonight Show is you get caught up in the atmosphere of jocularity, which doesn't always inspire confidence in the American people. So when Jay Leno ribbed President Obama about his bowling ability, Obama responded in kind with what he figured was some self-deprecating humor. Obviously it misfired badly. Remember, it was the President himself who, just a few weeks ago, declared the US economy was on the verge of collapse. So it's not surprising that some Americans may have trouble reconciling this issue. If we're in such dire straits in this country, why is our President making menial TV appearances? Obama has also made tactical errors in engaging his media critics. While President Bush never answered his critics (who were far more vitriolic, by the way) Obama constantly invoked the name of Fox News' Sean Hannity during the campaign. The once he assumed the Oval Office, President Obama then conveyed his displeasure with conservative radio titan Rush Limbaugh. The President seemed to think Limbaugh had a hand in influencing Congressional Republicans during negotiations of the economic recovery bill. But since the likes of Limbaugh and Hannity have no legitimate legislative influence, it's a waste of valuable energy and media coverage in answering their criticisms. I don't have a problem with President Obama wanting to portray himself as a ordinary guy. But the fact he now has an extraordinary job should lend itself to more careful discernment. .......to make NCAA basketball tournament picks. On day one he only got 11 of 16 games correct. I picked 13 winners out of 16, including #12 seed Western Kentucky upsetting #5 Illinois!! The ultimate gaffe master, Vice President Joe Biden, will be holding a town hall meeting in St Cloud today. With that said, I would like to direct you to the blog Nihilist in Golf Pants and the latest in a series of Top 11 lists. It's the "Top 11 Predicted Gaffes Vice President Joe Biden Will Make In St. Cloud." My 2009 NCAA Basketball tournament bracket (Click to enlarge). For the life of me, I couldn't figure out why Pittsburgh Steelers owner Dan Rooney, a lifelong Republican, endorsed Barack Obama for President last year. I mean, it should have been obvious that Obama's economic proposals would cut in to Rooney's wealth. Whatever the case, Rooney looks to have been rewarded handsomely. President Barack Obama today announced his intent to nominate Steelers owner Dan Rooney as ambassador to Ireland. In a White House ceremony (Tuesday) morning, Mr. Obama called Mr. Rooney a "great friend" and cited his efforts to support peace in Ireland. You know, if this NFL ownership thing doesn't work out, Rooney has a heck of a future as a lobbyist. When it comes to Minnesota professional sports lore, two names are inevitably mentioned in a lengthy conversation: Vikings QB Fran Tarkenton and Twins center fielder Kirby Puckett. And I betcha even sports fans outside this state could tell you the jersey numbers donned by these hall of famers. Upon calling it a career after the 1978 season, Tarkenton had his number 10 retired in a ceremony at the old Metropolitan Stadium in 1979. And we all remember Twins P.A. announcer Bob Casey bellowing out “NUMBER THIRTY FOUR….THE CENTERFIELDER KIRBEEEEEEEEEE PUCKETT” whenever Puckett came to bat. But due to Kirby’s premature retirement in 1996, no one will ever wear the number 34 again. Now, here’s a bit of trivia for you. Only one other player ever wore the number 10 for the Minnesota Vikings. And the year 1982 would have been the last time a player other than Kirby Puckett ever wore jersey number 34. 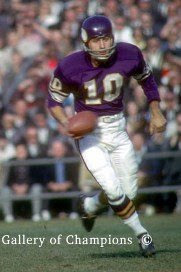 Tarkenton was drafted in the third round by the expansion Vikings in 1961. But after six seasons in Minnesota, he was traded to the New York Giants where he spent the next five years of his career. 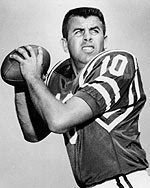 In 1968, the Vikings signed veteran King Hill (pictured above) as a backup QB. Even though Hill never threw a pass that season he does own the distinction of being the only other Viking player in team history to wear number 10. 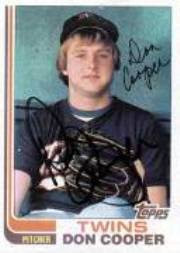 In the early 80s, pitcher Don Cooper (currently the pitching coach for the Chicago White Sox) made 33 appearances (three starts) as a member of the Minnesota Twins. His stats were not very noteworthy as he compiled a mere 1-5 record with a 5.15 ERA. 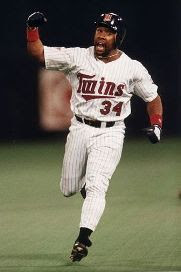 However, Cooper was the last Twins player before Puckett to ever be announced as number 34. And it’s highly unlikely he ever received a unique greeting from Casey when he entered a ball game in relief. So there you have it. More useless sports trivia which you can use to win a bar bet! The saga of Denver Broncos quarterback Jay Cutler has taken another twist. NFL Network has just reported that Cutler has put his Denver home up for sale. Does this mean a trade is imminent? When Brad Childress took over as Vikings head coach in 2006, he was looking to put his stamp on the organization by drafting a franchise QB. In the '06 draft, it was pretty much a foregone conclusion that Vince Young and Matt Leinart would be the top quarterbacks selected. Since the Vikings weren't picking until seventeenth in the first round, it was rumored that they set their sights on Jay Cutler out of Vanderbilt. Unfortunately, Denver undercut Minnesota by trading up to the #11 pick and selecting Cutler. Not wanting to get burned again, the Vikings traded up in the second round that year to inexplicably draft Tarvaris Jackson, a guy who most teams had going in the third round at the earliest. Thus far, Jackson does not have the look of a franchise QB. If Cutler is indeed going to be made available in a trade, the Vikings can not let this opportunity pass them by again. He's a guy the organization coveted three years ago. And he's proven to be a much more capable quarterback than what the Vikings currently have on their roster. UPDATE: Cutler asks for trade. I had wondered why I hadn’t seen this politically active actor lately. Sadly, I now know why. Actor and political activist Ron Silver has lost his battle with esophageal cancer. He was 62. The award-winning stage actor passed away on Sunday following a lengthy battle with the disease, and was surrounded by his family, according to friend and colleague Robin Bronk. He says, "Ron Silver died peacefully in his sleep with his family around him this morning. "He had been fighting esophageal cancer for two years and his family is making arrangements for a private service." To be honest, I hadn’t seen many of Silver’s movies. The only role of his I’m really familiar with is his part as the power hungry Senator in the Jean-Claude Van Damme flick Timecop. Eight years later, Silver went through yet another epiphany. After the terrorist attacks on 9/11/01, he became an ardent supporter of President Bush’s war on terror. In fact, Silver even spoke at the 2004 Republican National Convention in New York City. He also made a solid appearance in the documentary FahrenHYPE 9/11, a film dedicated to refuting and responding to the distortions made by bitter propagandist “filmmaker” Michael Moore in Fahrenheit 9/11. Roger L. Simon wrote a poignant piece on the loss of his friend. Silver is survived by his son, Adam, and daughter, Alexandra. I've been a College Basketball rube since 1984. That year saw the University of Virginia (a year after All-American Ralph Sampson left) make a surprise run to the Final Four, where they lost to Hakeem Olajuwon and the Houston Cougars. The other semifinal game that season was memorable in that it featured a monumental collapse. Leading Georgetown 29-22 at halftime, Kentucky was poised to move on to the National Championship game for the first time since 1978. But in the second half, the Wildcats were an atrocious 3 for 33 from the field. That's right, they shot 9.1% after halftime in losing to the Hoyas 53-40. That Kentucky team was also memorable in that were led by 7-1 center Sam Bowie who, three months later, would be drafted second overall by the Portland Trail Blazers in the NBA draft -- right between Olajuwon (selected #1 overall by the Houston Rockets) and some guy named Mike Jordan (#3 by the Chicago Bulls). In the '84 national championship, junior center Patrick Ewing led Georgetown to an 84-75 win over Houston. So today we will learn the 64 65 teams who will participate in the 2009 version of March Madness. And it's extra special for me personally since my University of Minnesota Golden Gophers have a legitimate shot to make the field. In fact, I predict they will be there along with five other Big 10 squads: Michigan St., Purdue, Ohio St., Illinois and Michigan (sorry, Bucky Badger). The festivities begin this evening at 5:00 CT on CBS!!! UPDATE: Seven Big Ten teams make it: Michigan St., Purdue, Illinois, Ohio St., Michigan, Wisconsin (SHOCKER!!) and my beloved GOPHERS!!!! Minnesota will play Texas on Thursday in Greensboro, NC. 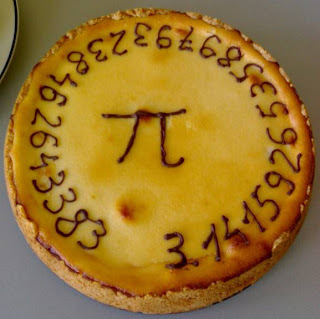 Pi Day and Pi Approximation Day are two holidays held to celebrate the mathematical constant π (pi). Pi Day is observed on March 14 (3/14), due to π being roughly equal to 3.14. Pi Approximation Day is observed on July 22, due to π being roughly equal to 22/7. When the Buffalo Bills acquired wide receiver Terrell Owens last week, there’s no doubt they were fully aware of his history with three other franchises. In the space of five years, Owens wore out his welcome with the San Francisco 49ers, Philadelphia Eagles and Dallas Cowboys, due in large part to his petulance and/or divisiveness towards teammates and coaches. Bottom line is the Bills organization shouldn’t be shocked if Owens continues his malcontent ways once he feels as though he’s not getting the ball enough. My prediction is the first T.O. controversy will take place even before the 2009 regular season commences. And the source of the controversy? 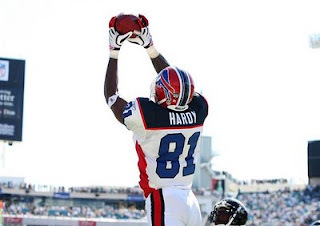 A second year WR by the name of James Hardy. With T.O. now in the mix, the Bills will have a rather formidable compilation of receivers in Owens, Lee Evans and Josh Reed. So it’s not as if Owens needs to be concerned about Hardy (nine receptions, 87 yards in his rookie season) getting the ball more than he. No, it’s something else Hardy possesses which may cause a kerfuffle. In his entire NFL career, T.O. has always donned the number 81. And since Owens has never struck me as the type who is willing to change his ways, he’ll insist on maintaining his jersey number. Sports protocol usually dictates that a newly signed player will make a cash offer to a teammate for his jersey number or the established teammate will offer the number voluntarily. So if Hardy does not give up his number willingly, my prediction is T.O. will call him out. Owens will say soemthing to the effect that Hardy is not nearly accomplished enough to be in a position to command cash for what rightfully belongs to T.O. (i.e. the number 81). I guess it’s a good thing the Bills only signed him to a one-year deal. UPDATE: Kerfuffle avoided as Owens does indeed get his jersey number. No word on whether or not Hardy will be compensated. ....Wednesday evening at Target Center. And I see that they listed the official attendance at 12,443. Huh. The must have been counting everyone's arms as well. With game time beginning at 7:00, the four of us arrived at about 6:30 to literally less than a thousand fans in the arena. "Maybe the others forgot to set their clocks ahead an hour", I thought. But once game time arrived maybe a few thousand more people showed up. Oh, and I also found out it was "dollar dog night" which meant all hot dogs were a dollar while supplies lasted. So I'm thinking they're good for Friday night's game against the Knicks. Anyhow, the Wolves ended up beating the pathetic Memphis Grizzlies by 25 points. Going into the game the Grizzlies and Wolves were ranked, respectively, 25th and 26th out of thirty teams in the NBA power rankings. The Grizz had lost 10 of their last 11 games while the Wolves had lost 11 consecutive home games and 10 consecutive overall. The fact I was able to enjoy myself solidifies my standing in Minnesota sports Rube Nation!! 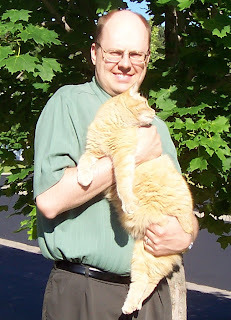 When I began this blog back in October 2004, I had no clue what I was in for. I had always wanted to be a sports commentator, so I figured this would be a venue where I could share my insights, opinions, etc. I had no delusions of having a lot of readers who would be awestruck by my dissertations. Rather I looked at this as an opportunity to record my instant reaction to something as opposed to carefully crafting a "letter to the editor." So when my wife and I attended our first Minnesota Organization of Bloggers soiree in January 2005, my blogging career consisted of two posts in a three-month span. Of the two hours we were at that party, we talked to maybe 4 or 5 people. That said, I would have never believed in my wildest imagination that 4-plus years later I would still have this blog going and have scores of friendships/acquaintances as a result. And many of those relationships were rekindled Saturday evening at the MOB gathering at Keegan's Irish Pub in Minneapolis. I hesitate to name everyone I had the pleasure of speaking to because I would inevitably leave someone out. Besides, you can check out recaps of the party from Mitch and Nancy of True North. Yes, this latest MOB gathering was yet another reminder that I have gotten way more out of this humble little site than I have ever put into it! The World Baseball Classic started recently. This is a tournament where teams from all over the world (i.e. United States, Canada, Japan, Puerto Rico, etc.) are assembled using Major League Baseball players. Naturally, the players weren't necessarily born in the country for whom they're playing. For example, Twins shortstop Nick Punto is playing for Italy despite being born and raised in Southern California. And Alex Rodriguez (born in NYC; grew up in Southern Florida) probably couldn't find the Dominican Republic on a globe but yet would have donned their uniform were it not for his hip injury. All that said, I really have no interest in viewing this hair-brained idea of MLB Commissioner Bud Selig. However, the Team USA roster gives up the Top 10 reasons why we should indeed tune in. .....I wouldn't believe it existed. Tonight I was watching a replay of the 1998 Packers-49ers wild card playoff on NFL Network. You'll recall this was the game won by San Francisco 30-27 when WR Terrell Owens caught a 25-yard touchdown pass with three seconds left. The big play occurred shortly after Green Bay got hosed on a non-call of a Jerry Rice fumble. No, what really grabbed my attention was the fact John Madden was in the broadcast booth. Now if you've ever watched a Packers game from 1992-2007, you realized that Madden was to Brett Favre what Chris Matthews is to President Barack Obama. In fact, the phrase "man crush" may have originated with Madden's incessant fawning over Favre. With about six minutes left and his team trailing 23-20, Favre threw an absolutely awful pass that was intercepted by the 49ers' Darnell Walker. Madden actually said "that was a lousy pass by Favre." That is the equivalent of Matthews saying Obama's economic policies are misguided: It would be the truth but you would be shocked at the source of such candor. If you asked me which player I believe the Twins could least afford to lose, I would have said closer Joe Nathan. Nathan withdrew form the World Baseball Classic because of a sore AC Joint, the team's official web site reports. He said his shoulder was sore during the offseason. "It's always kind of uncomfortable coming back and starting to throw. But when I got here and started doing everyday stuff, it kind of flared it up a bit. The good thing is I was able to go in and tell them early and it didn't get too serious," he said. Neither the Twins front office brass nor manager Ron Gardenhire seemed panicked by the situation. In fact, the Twins organization as a whole hasn't been this unconcerned about an injury since 1996 when Kirby Puckett woke up one morning complaining of a lack of vision in his right eye.